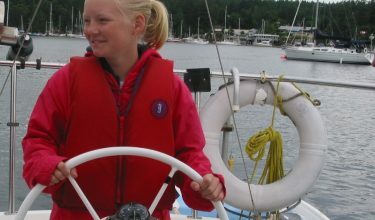 The “BROKER” is NANAIMO YACHT CHARTERS & SAILING SCHOOL LTD. The“CHARTERER” refers to the person named who has full and complete responsibility for the safety of the vessel and its crew. The “YACHT” refers to the yacht being chartered. 35% of the charter fee is due upon booking. The outstanding balance is due 60 days prior to departure. This final payment amount is paid in the form of a cheque or bank/wire transfer in CANADIAN DOLLARS. If a credit card is used, a processing fee of 4% of the amount due will be applied. A 1.5% late fee will be applied to all balances not paid by due date. If a cancellation occurs more than 90 days before departure the deposit payment is returned to the CHARTERER, less $350 (plus applicable taxes) administration fee. 89-60 days before departure: a charge of 25% of the total charter fee will apply (plus applicable taxes) and if cancellation occurs less than 60 days before departure, if we are unable to resell the same boat for the same period, the rain check policy comes into effect whereby the CHARTERER has the opportunity to rebook the charter at a later date. The Broker shall have the right to cancel the charter should all or any portion/balance not be paid on the dates due. Any monies paid by the CHARTERER shall be surrendered to the BROKER not as a penalty but as liquidated damages. All notice of cancellation must be given in writing. A re-booking fee of $250 for a change of booking may apply. 5. Accidental Damage, Death and Injury. Taking the YACHT into possession is effective once the formalities have been completed; viz: Full payment of the charter, submission of crew list and boating resume and refundable damage deposit left by credit card. The YACHT is handed over with full fuel, water and a tank of cooking fuel. The CHARTERER agrees to pay any additional running expenses during the term of the charter. Such additional running expenses may include but are not limited to, food and other consumable stores, fuel, pilotage, mooring and dockage fees, port charges, park permits, customs and provisions, and supplies for the CHARTERER and their party. The YACHT is covered under a standard marine yacht policy. However, the CHARTERER and crew remain responsible for loss or damage from negligent or wilful misuse of the YACHT such as sailing outside the defined cruising area or sailing hours, groundings, operating the YACHT under the influence of alcohol or drugs, or failing to adhere to the briefing and onboard instructions. The CHARTERER specifically acknowledges for himself/herself and crew that the BROKER has the right to insist the skipper or any other crew member involved take a drug/alcohol test administered by the police or a doctor after any incident involving the YACHT or its auxiliary equipment. The CHARTERER must leave an authorized credit card (Master Card or Visa) imprint before departure as a deductible against loss or damage to the YACHT, and all equipment or other Inventory. The deductible shall apply per occurrence of damage or loss and furthermore The BROKER may apply the balance of the damage deposit toward any unpaid charges for late return, refuelling, and cleaning and such other as may reasonably be deemed necessary by the BROKER. The Damage Deposit is the maximum liability of the Charterer. The deposit required will be retained by the BROKER pending return of the Yacht to the agreed port of return and inspection by the BROKER (including underwater inspection and/or haul out). Deposit is forfeited if the boat goes aground, touches bottom causing any damage. Dinghies and accessories, towing, costs of on charter call out service to YACHT for repairs caused by CHARTERER, are not covered by insurance/damage deposit and as such are the sole responsibility of the CHARTERER. In the event of damages, collisions and loss of equipment, the CHARTERER must take all reasonable steps to minimize further loss. 1. Report the incident immediately to the BROKER. 2. Promptly report to the local Authorities any damage or loss to people or other property. Failure to comply with these terms will void the insurance cover. In the event of a breakdown the CHARTERER will not attempt repairs without the authorization of the BROKER. All claims for reimbursement shall be supported with receipts from recognized marine repairers and suppliers. In event of breakdown the CHARTERER is liable for aggravated damages as a result of continuing the voyage without consulting the BROKER. The CHARTERER shall be responsible for any loss or damage not covered by insurance resulting from operation of the Yacht in breach of this agreement or the applicable insurance policy. The CHARTERER agrees to take on board only the number of crew as stated on the crew list. The YACHT shall be employed exclusively as a pleasure vessel for the sole and proper use of the CHARTERER, his or her family, guests, employees and agents, during the term of this charter and shall not transport merchandise or carry passengers for pay or engage in any trade, nor in any way violate the laws of Canada or the United States or of any other government within the jurisdiction of which the Yacht may be at the time and shall comply with the law in all other respects. Rafting to another vessel at anchor is strictly prohibited nor shall the Yacht be operated in fog. In the event that fog conditions occur; the CHARTERER shall exercise all reasonable precautions to ensure the safety of all persons on board as well as the safety of the Yacht to travel to safe harbour. The CHARTERER shall stand well clear of any commercial shipping. The CHARTERER agrees to restrict use of the YACHT to the “cruising area” and not to navigate the West Coast of Vancouver Island (including inlets on the West Coast of Vancouver Island) without prior written approval of the BROKER and then completion of a WAIVER FORM. 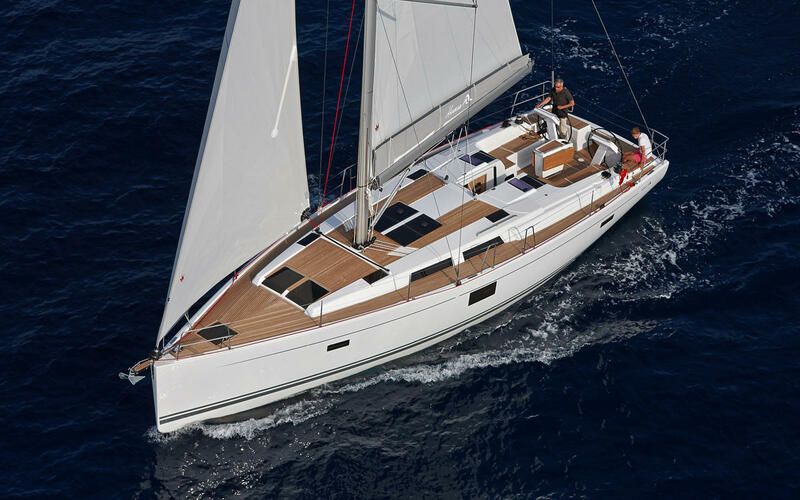 When sailing outside the cruising area, the CHARTERER is fully responsible for the maintenance and management of the YACHT and no support can be guaranteed. Night sailing (Between 30 minutes before sunset and 30 minutes after sunrise) by the CHARTERER is not permitted. Racing is not permitted, except for booked events when specific conditions apply. The CHARTERER shall forthwith notify the BROKER, of any accident involving the YACHT, of any serious injury of any person aboard the YACHT or of any violation of any law rendering the YACHT liable to claim, penalty or detention; the CHARTERER shall neither assign this agreement nor sub-charter the Yacht without the prior written approval of the BROKER. The BROKER may assign rights to payments under the charter. The CHARTERER certifies that he/she is experienced and competent in the handling and operation of inboard auxiliary powered sailing craft of the general type and size as the YACHT herein chartered and that the CHARTERER has also had a sufficient practical knowledge of seamanship, piloting and Rules of the Road. The CHARTERER shall not delegate any of these duties to any person not equally qualified. The CHARTERER agrees not to sail the YACHT single-handed and to ensure at all times a competent skipper and leading crew member are aboard except while safely moored. The BROKER may in its sole discretion verify the CHARTERERs or leading crew’s competency at the time of the charter. Should the CHARTERER or leading crew be deemed less than fully competent by the BROKER, in it’s sole discretion, may insist on the CHARTERER at the CHARTERER’s expense, employ an sailing/cruising instructor to assist the CHARTERER in achieving competency. Should an instructor be unavailable the BROKER may restrict the CHARTERER’s use of the Yacht to the charter party’s occupancy of the YACHT at the dock until an instructor has become available. The CHARTERER acknowledges that the BROKER does not independently investigate the competency of any CHARTERER to sail/cruise, but relies solely and exclusively on the resumes provided. The CHARTERER further acknowledges that the BROKER in it’s sole discretion may refuse to release a YACHT for sailing but this exercise of discretion shall in no way be construed as an acknowledgment or determination of the competency for sailing of the CHARTERER’s crew or the assumption of any liability for loss or damages incurred as a result of sailing, for which the CHARTERER assumes sole responsibility. The CHARTERER shall surrender the Yacht at the expiration of the charter at the release port and time specified, free and clear of any indebtedness and liens whatsoever, and in condition and clean state as when delivered and having properly cleared customs. The BROKER has the right to charge a cleaning fee if deemed necessary. Fuel tanks for the vessel and the outboard must be filled by the CHARTERER. A refuelling fee of $100 in addition to the cost of the fuel will be charged if vessel is not refuelled prior to redelivery of vessel to BROKER. The Charterer is responsible for allowing sufficient time for unforeseen contingencies to permit the return of the Yacht at the stated time. Should the Charterer not make redelivery of the YACHT at the time and place herein before stipulated for any cause, other than that occasioned by an occurrence beyond the CHARTERER’s control, The BROKER has the right to: a) charge a pro rata fee for the time the delivery is delayed plus 25% for any loss that the BROKER or the Yacht Owner may sustain due to the delayed delivery and b) charge for all expenses involved in returning the yacht to the to the port of origin (should the YACHT be left at any other location) c) charge the CHARTERER for all lost charter revenue if the delay in return causes cancellation of the succeeding charter.The BROKER needs to be informed immediately of any delays. The CHARTERER accepts responsibility for the proper conduct of themselves and their crew. The BROKER reserves the right in it’s absolute discretion to terminate, without further notice, the vacation arrangements for any CHARTERER who refuses to comply with the instructions or orders of the BROKER and whose behaviour or competence in the BROKER’S opinion is likely to cause distress, damage, danger or annoyance to their crew, other clients, staff, any third party or to the property. Upon such termination, the BROKER’s responsibility for the CHARTERER’s vacation ceases and shall not be liable for any costs incurred by the CHARTERER. Upon the CHARTERER requesting an instructional charter, the BROKER shall select an instructor to operate the YACHT. Whilst the BROKER uses due diligence in selecting a suitable instructor, the BROKER shall not be responsible for any loss, damage, delay or expense caused to the CHARTERER and/or crew by reason of an act or neglect of the instructor. The appointed instructor shall be the sole judge as to whether it is reasonable or prudent to sail/cruise at any given time, for any given place having regard to the weather, anchorages and pertinent matters. The CHARTERER shall not have the authority to discharge the instructor without prior consent from the BROKER. It is understood that the BROKER is acting for and on behalf of the owner of the YACHT. Neither the BROKER nor the owner will be liable to any person for any loss, damage, injury, or death that results from the CHARTERER‘s use of the YACHT. The BROKER makes no representations other than those contained in this Contract, the rate sheet and any written materials provided as part of the booking procedures. The BROKER will not be responsible for any fees, expenses, airline tickets, hotel rooms, food, phone calls, or other expenses incurred by the CHARTERER for any reason whatsoever. The CHARTERER will indemnify and hold the BROKER and the owner of the YACHT harmless from and against any and all claims for loss or damage to property or injury to persons (including loss of life) resulting from use, operation, or possession of the YACHT and related equipment or other Inventory by the CHARTERER or any crew, and from any claims whatsoever from loss or damage to personal property of the CHARTERER or any crew carried on the YACHT or dinghy. This Agreement shall be construed and interpreted in accordance with the laws of British Columbia with the exception of any admiralty or maritime claims which shall be construed under the maritime, admiralty laws of Canada or the United States including the International Convention on Limitation of Liability for Maritime Claims 1976 as in effect. The venue for any proceedings hereunder shall lie in Nanaimo, British Columbia, Canada. If during a sailing day (8am to 5pm) the YACHT is out of commission for more than 6 hours after notifying the base, the BROKER will refund the lost charter time. The Guarantee covers engine, transmission, sails, rigging, battery and alternator. Excluded from the Guarantee are refrigeration, heat, Radio/CD player, dinghy and outboard, and any other items that do not prevent YACHT usage. Breakdowns occurring outside the agreed sailing area or due to user negligence, bad weather and Force Majeure are also excluded from the Guarantee. The time of breakdown will commence from the point when direct contact is made with the BROKER. If the BROKER is unable to resolve the problem within 6 hours the guarantee comes into immediate effect. The BROKER and the CHARTERER must agree on the time lost prior to the CHARTERER’S departure from the base.